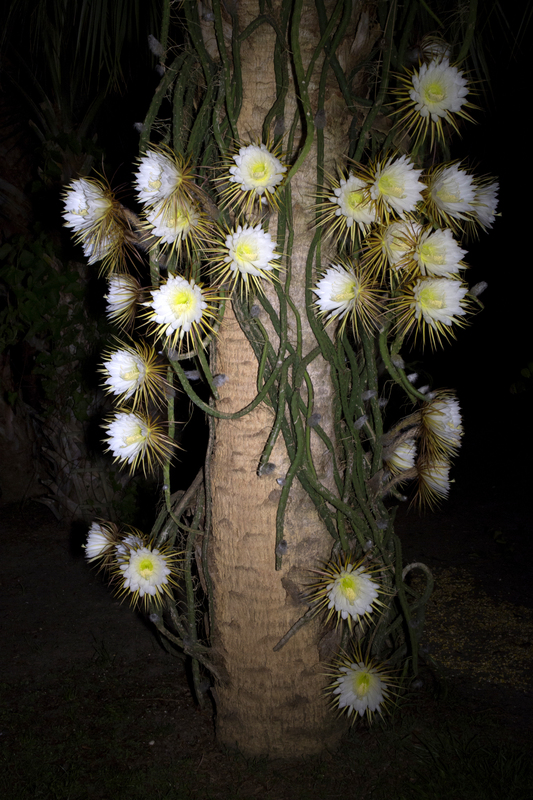 Published June 9, 2018 at 3840 × 5760 in Florida: Night Blooming Cactus! Blooms on Snake Vine Climbing up Sabal Palm Tree. Snake vine cactus (Selenicereus pteranthus) – Princess of the Night. First bloom of summer with 30 huge flowers on June 6th, 2018, Winegar Backyard, Palm Bay, Florida.